^That was Nomas, Zoku and myself heading to the yards! The coupe is mine, that's Gladys. Saw this pretty little Zenki Coupe at Walmart. That was me nice 86. At Walmart? Yes! Finally got one! 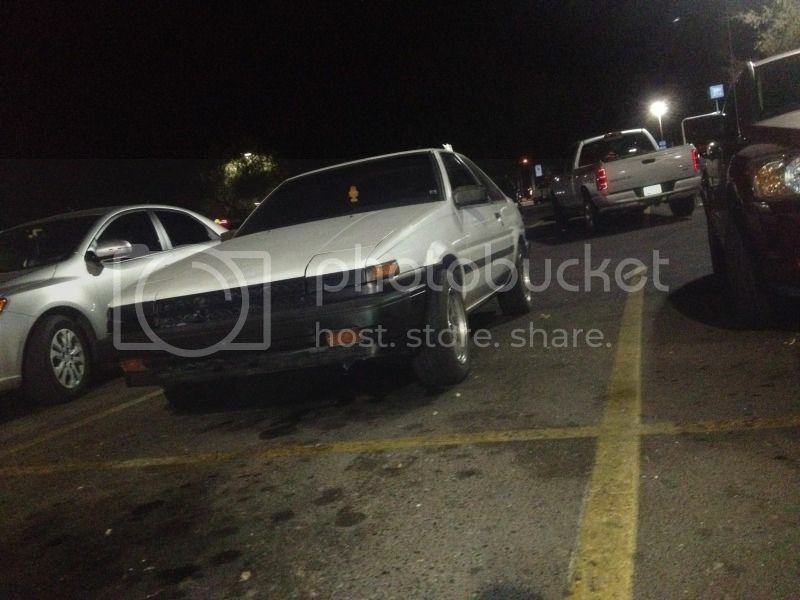 I spotted a white 86 hatch, at hooters last night. My names Ricky, I like to go fast. Spotted a super faded red hatchi following a mk2 supra on 7st just passed bell going north. desert datsuns was having a cruise today. they plan to head to pavillions after so i imagine most of those cars will be there today. "World's Cleanest AE86" new Super Street March 2013, from where?! Wait what?! Das right, from da 808 State bizznitch, haha!